1. 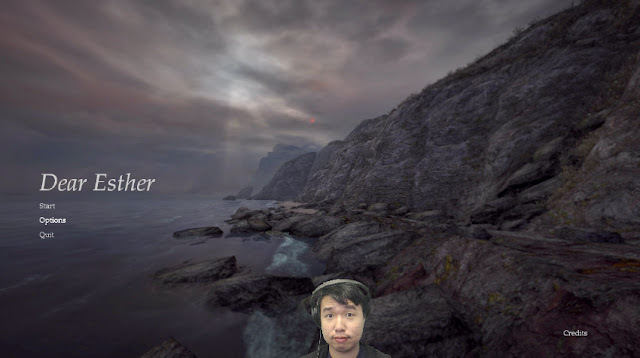 Dear Esther is remembered as one of the first "walking simulators" but if you play it, there's a lot of climbing, falling, and swimming. If you walk into the ocean, you die; if you fall off a ledge, you die; if you fall into the unfathomably deep hole, you die. I'm in the pro-walking-sim camp that seeks to appropriate the label from the crypto-nazi gamers that invented it, and I think of the term as a badge of honor -- but I also think calling Dear Esther a walking sim would be somewhat misleading, and elide all the other modes of traversal that the game facilitates. 2. Dan Pinchbeck is usually remembered as the primary auteur of Dear Esther, but I'd like to highlight the other auteurs who often get forgotten: Jessica Curry's music and sound design is lush, gorgeous, and haunting. Robert Briscoe's environment artwork and sculpting skills are pretty much the reason why we talk about Dear Esther at all, and it's of special interest from a level design perspective. Also, Ben Andrews did a marvelous job with the concept art and re-imagining the various landmarks. 3. The paths in Dear Esther frequently rely on narrow road forks, often forming a "Y" shape. Usually the player will approach from one side of the fork, noticing the other fork only when they double-back on their steps. The result is that the player frequently encounters dead-ends, and must backtrack to get back onto the critical path. This is still unusual, and maybe even radical, five years later in 2017, when 3D games regularly present huge vistas with clear paths to a goal -- instead, this is a game that is reluctant to reveal itself, and any progress feels arbitrary. Player agency is irrelevant.